Here is my art work on Mohiniyattam. It is done as a Pen Drawing with a tinge of Pencil Shading for the face and hands. This drawing on Mohiniyattam, the traditional dance form of Kerala, was done last year, but left unpublished for a long time. 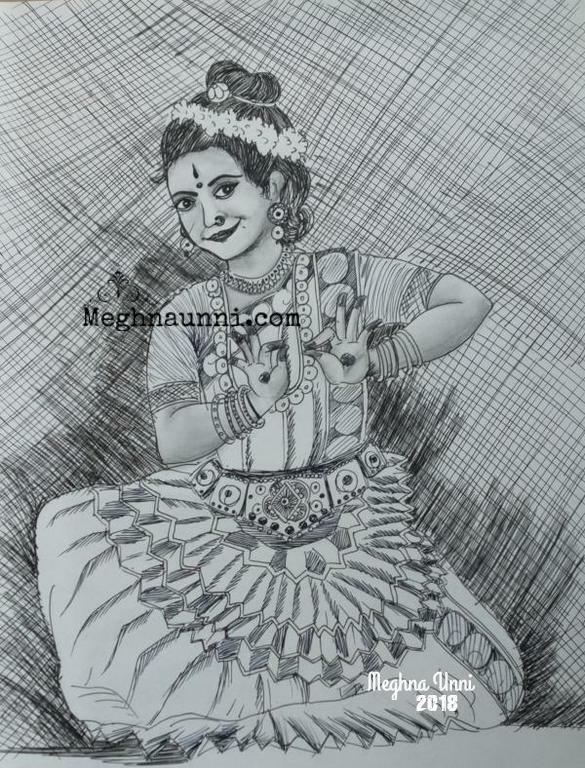 So here it is Mohiniyattam Dancer Pen Drawing.